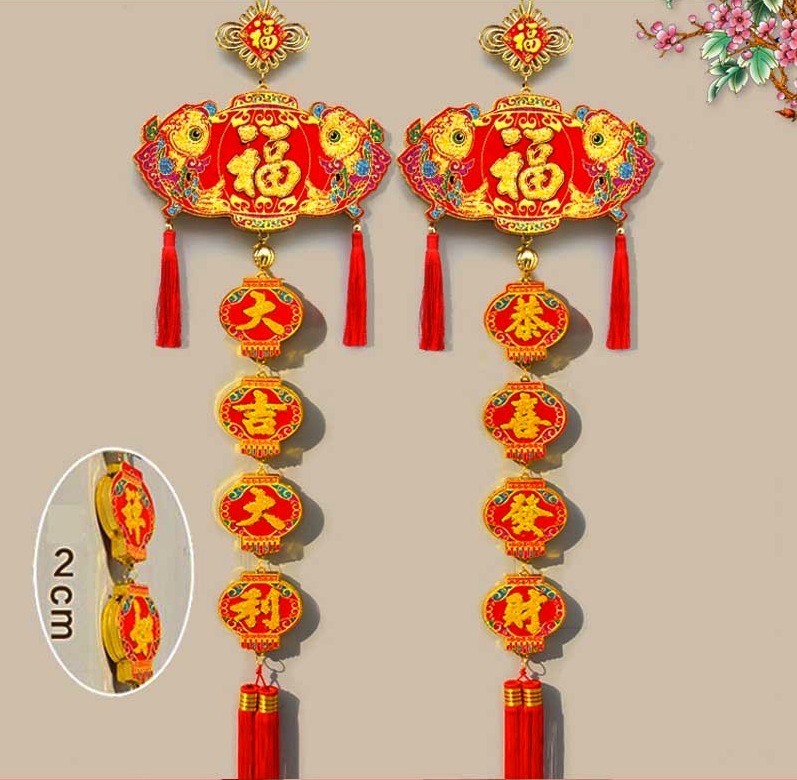 Usher in the Year of the Pig with these decorative Spring Festival couplets! 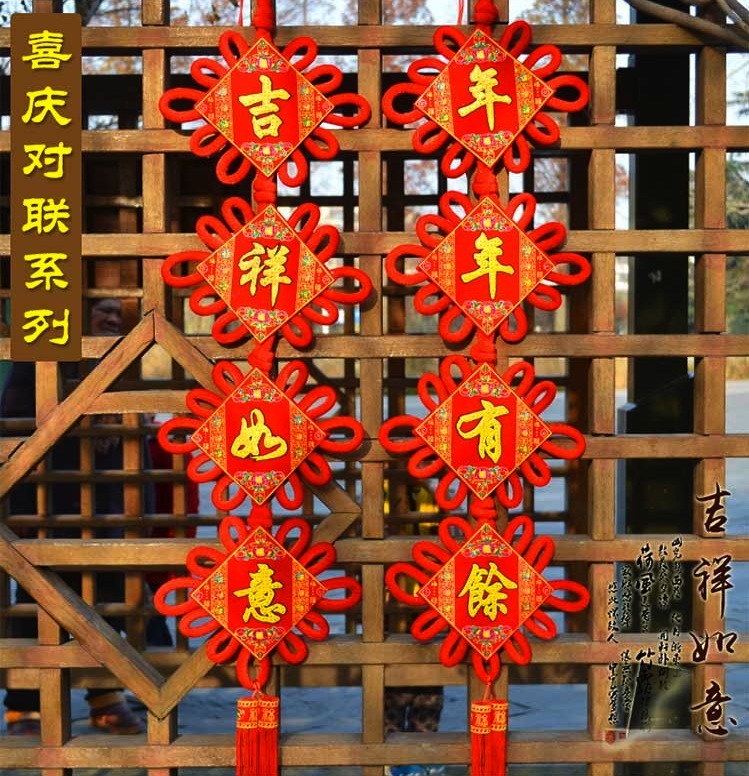 An essential decoration for Chinese New Year, couplets, otherwise known as chunlian (春联), are pairs of poetry scrolls that typically hang vertically on both sides of your door. Couplets are used to bring in blessings and prosperity for the coming year. These unique couplets come in two styles: traditional Chinese knots or lanterns. 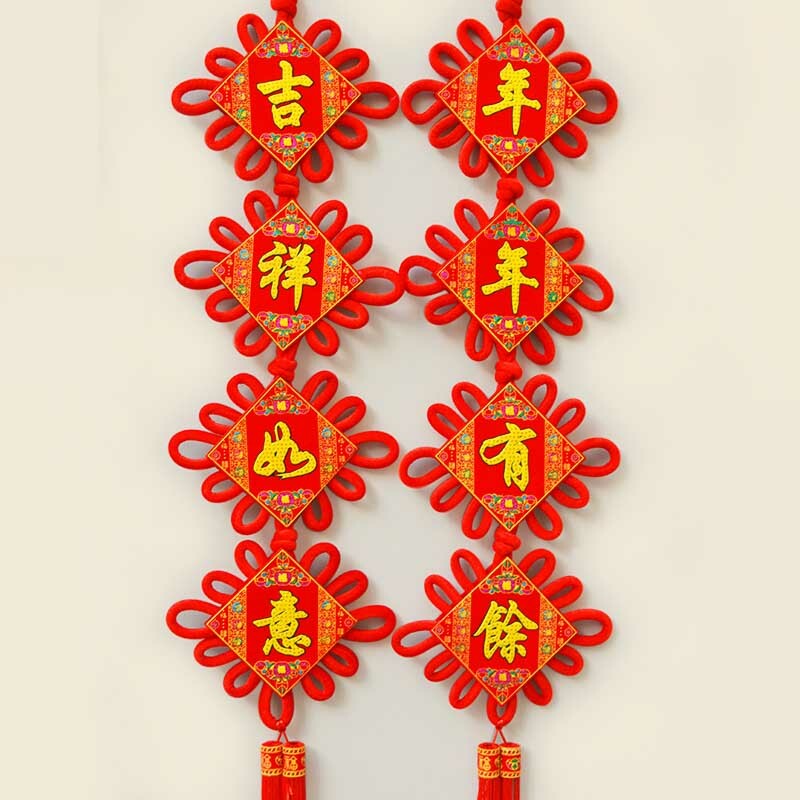 You can also choose between two different messages for your couplets: ‘good luck’ or ‘kung hei fat choi’(AKA ‘gong xi fa cai’) – a classic CNY greeting for wishing success and fortune. 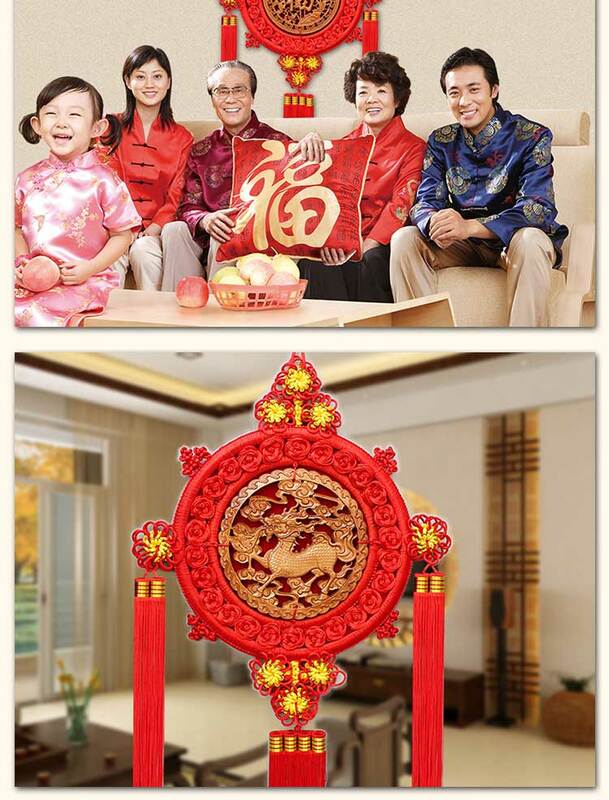 Channel all that auspicious energy into your home this season with these jumbo-sized Chinese knots! Rich in symbolic meaning, Chinese traditional decorative knots are said to express love and happiness, and can even be used as good luck charms. 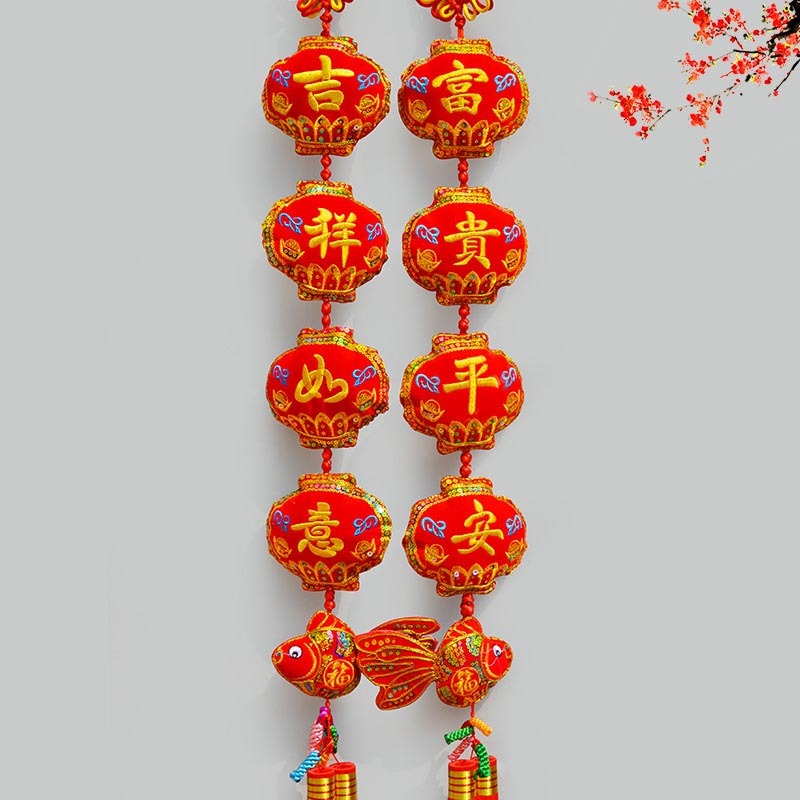 These hand-knit knots come with a variety of different engravings on the front, including a dragon, phoenix and the character ‘fu’ (福), meaning ‘fortune.’ The knots come in bright red — a super lucky color that represents happiness — and are also accented by hanging tassels. 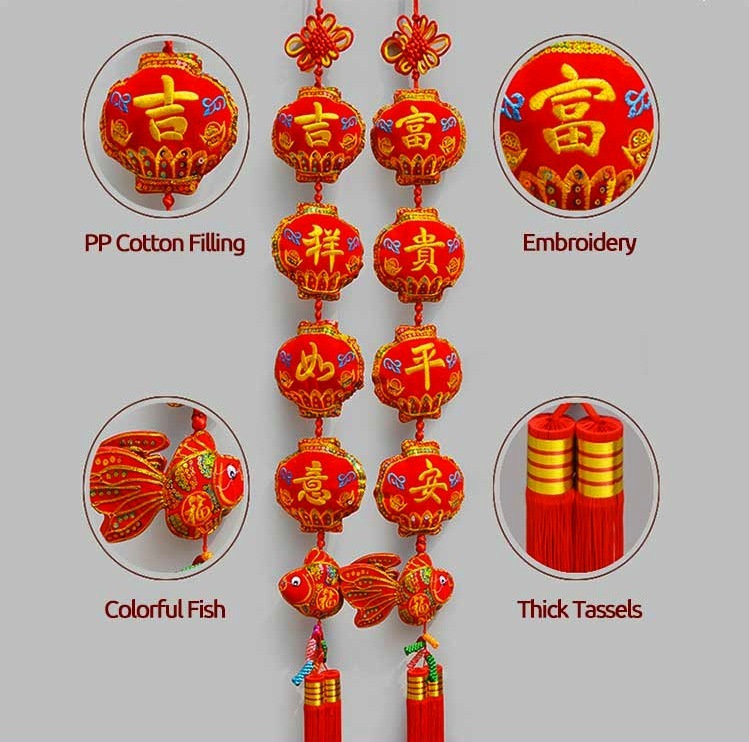 Add a touch of Spring Festival flair to your place with this fish and lantern hanging decor. In Chinese culture, lanterns symbolize reunion and create an auspicious ambience, while fish represent abundance. 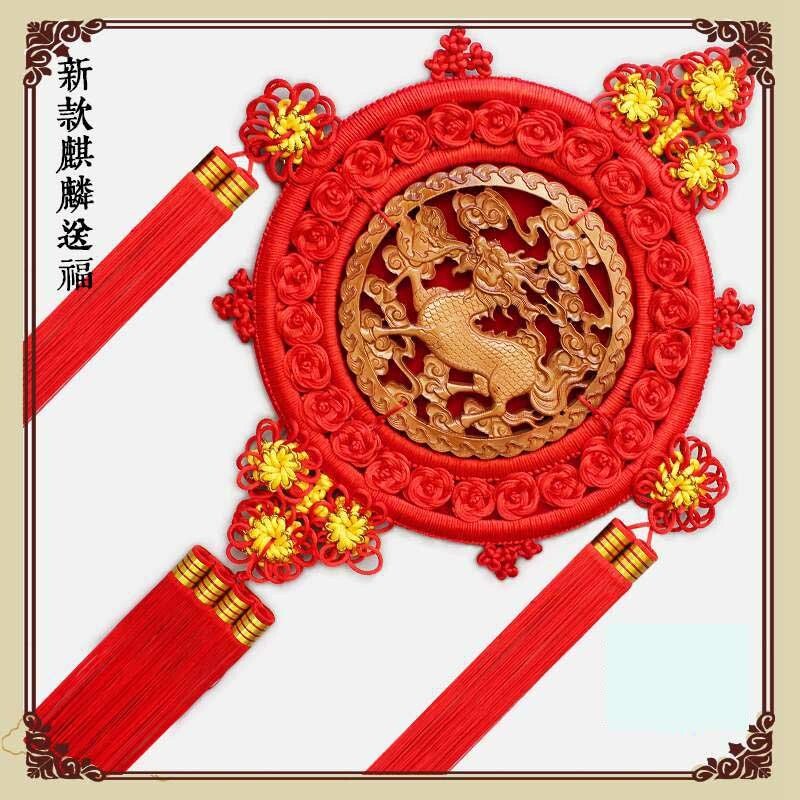 Both are classic decorations that can be spotted all around China during the Spring Festival period. These fish and lantern hangings are embroidered with traditional artwork, originally from the Western Han dynasty (202 BC to 8 AD). 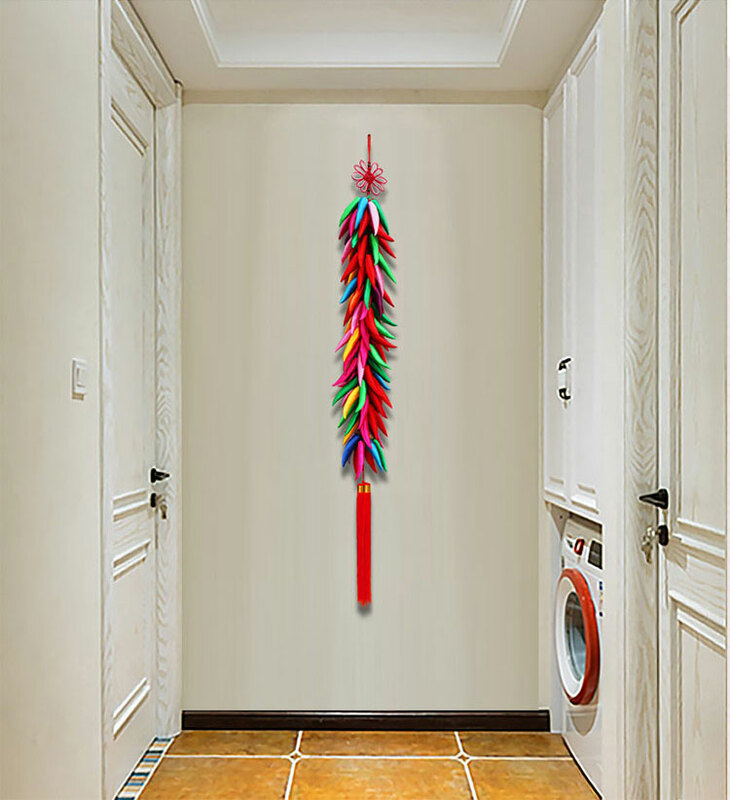 Hang these colorful decorations from your wall or door to bring in all the wealth and prosperity in 2019. 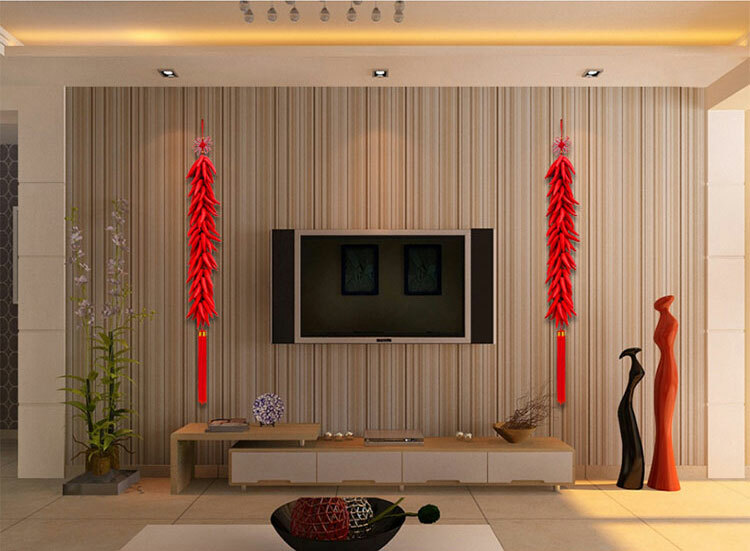 Deck your place out for CNY with these colorful hanging ‘chili peppers’! Why chilies, you might ask? The Chinese idiom ‘红红火火’ (‘hong hong huo huo,’ which literally means ‘red red, fire fire’) is a common phrase people use to wish others good luck. During the CNY season, chilies are used to represent this idiom. A classic holiday decoration, real (or fake) chili peppers are typically hung from homes and businesses as a good omen for the new year. 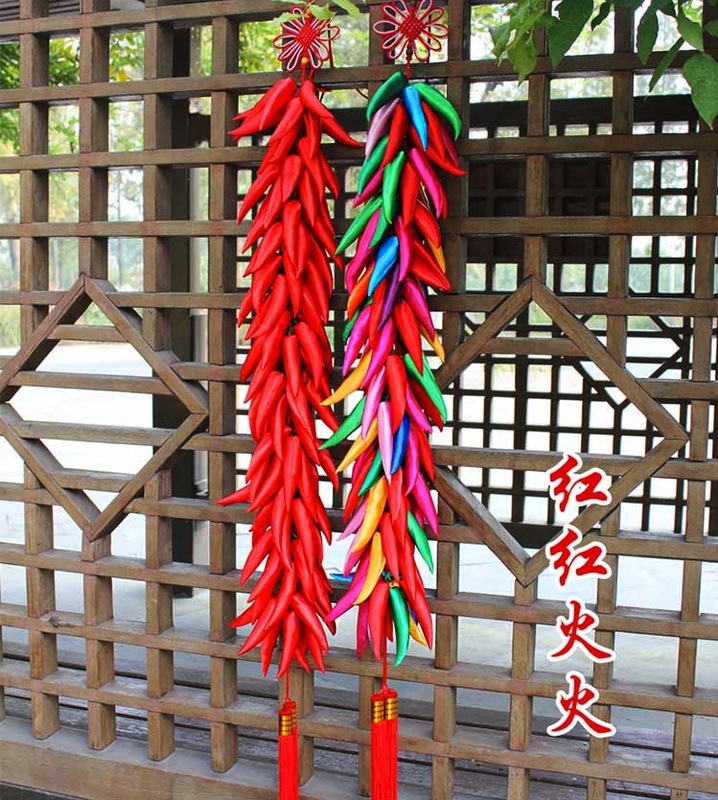 These decorative hanging chilies come in two styles: ‘prosperous’ red or multi-colored. Each set also comes with 101 ‘chilies’ along one string, as well as a traditional Chinese knot at the top and tassel at the bottom.